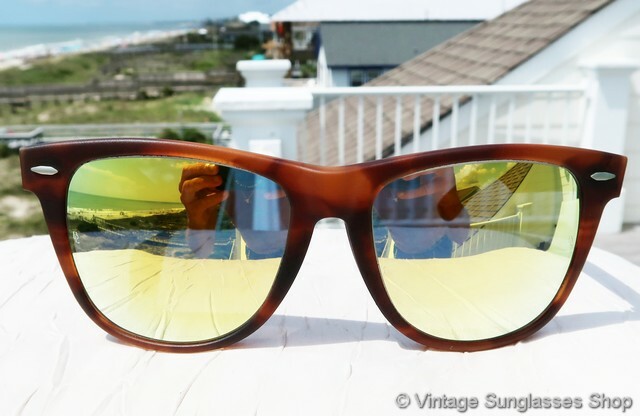 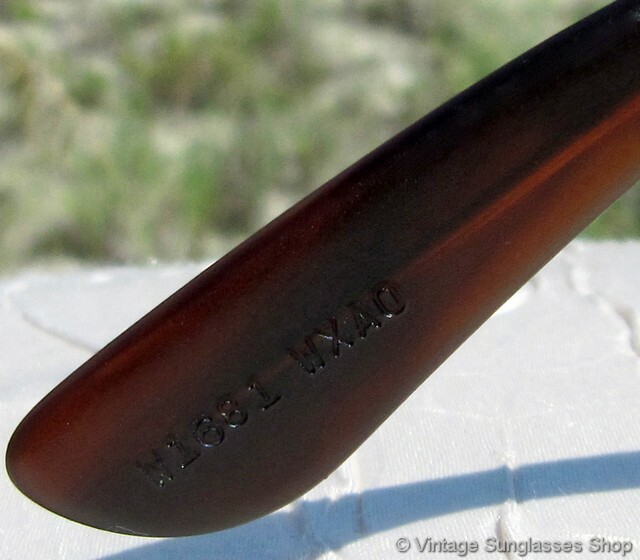 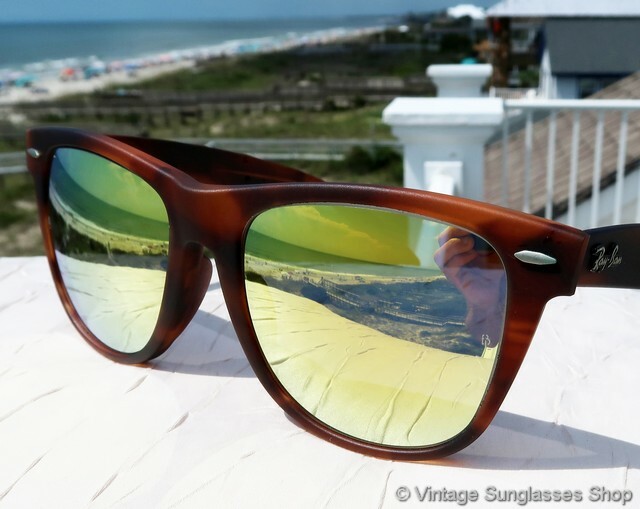 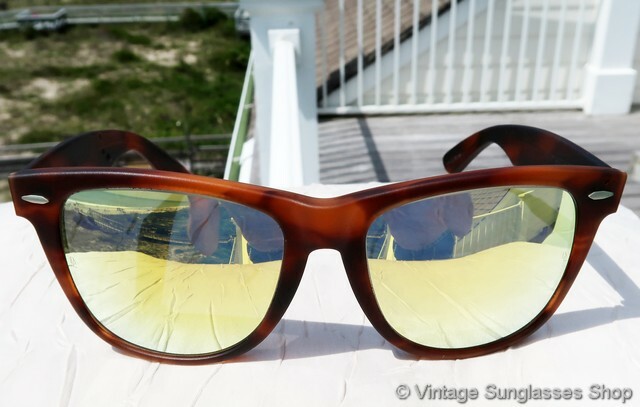 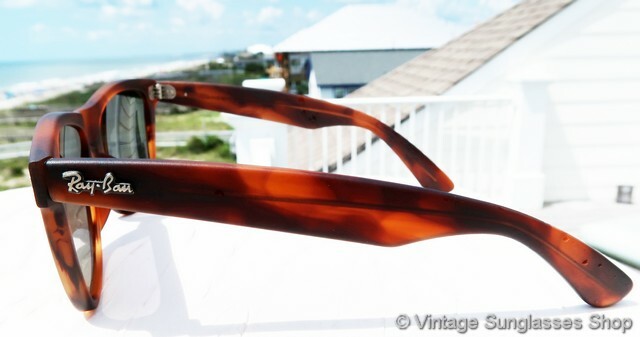 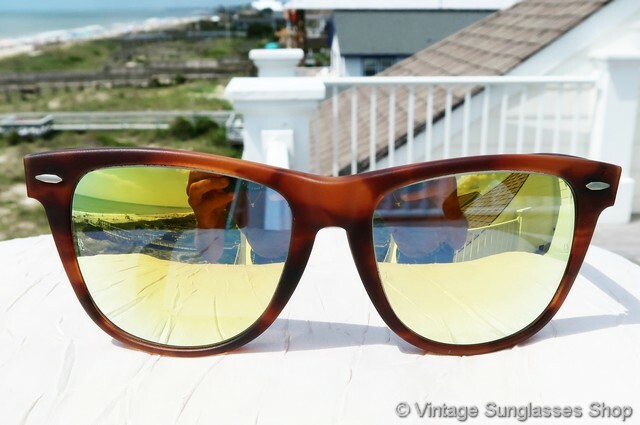 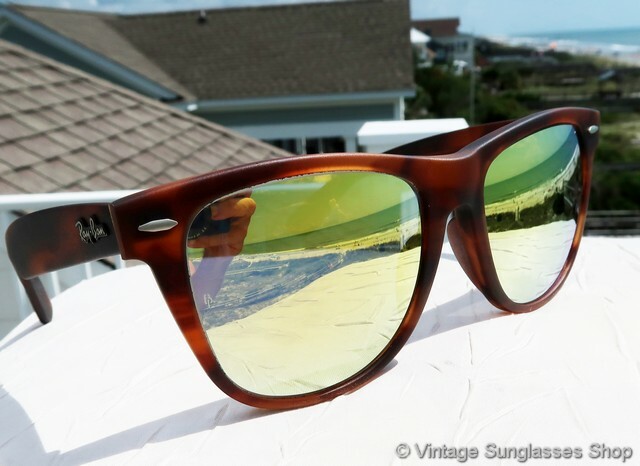 Vintage Ray-Ban W1681 matte tortoise Wayfarer II sunglasses the very rare B-23 gold mirror Bausch & Lomb lenses - so rare we'd never seen a pair before. 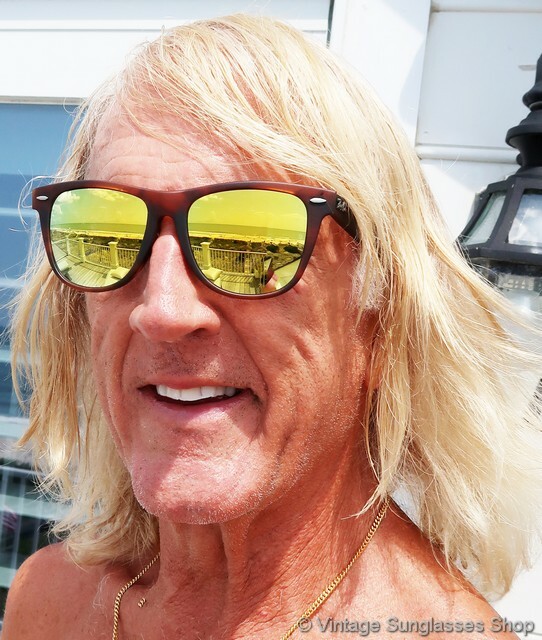 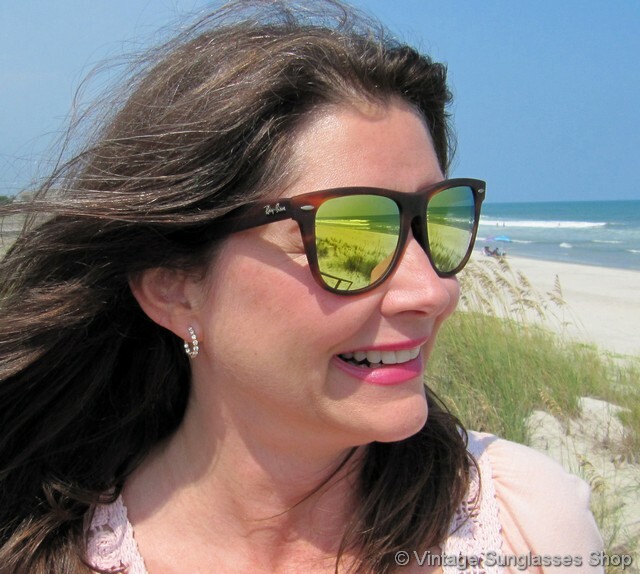 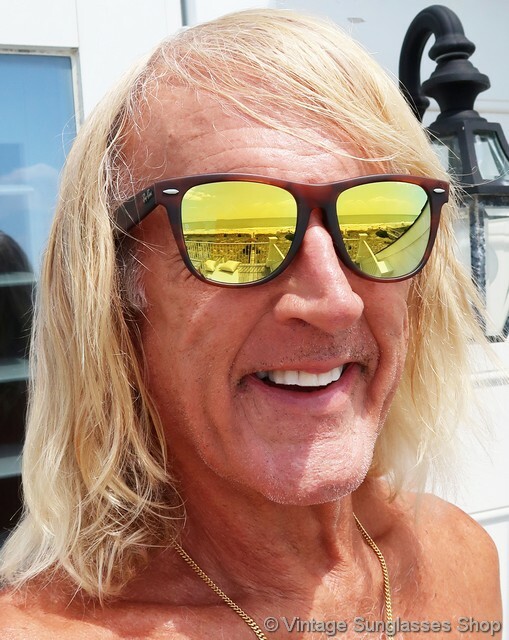 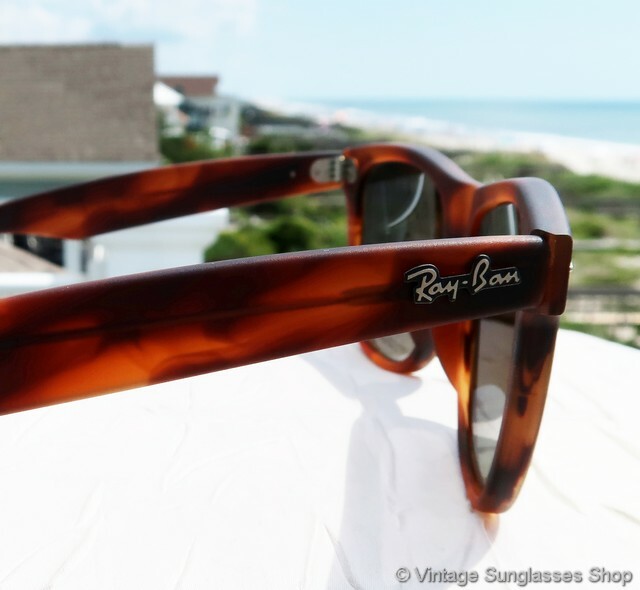 The matte tortoise shell is a great look, much more muted with less shine than regular Ray-Ban tortoise shell, and that's a good thing because you wouldn't want to clash with the highly reflective gold mirror B&L lenses. 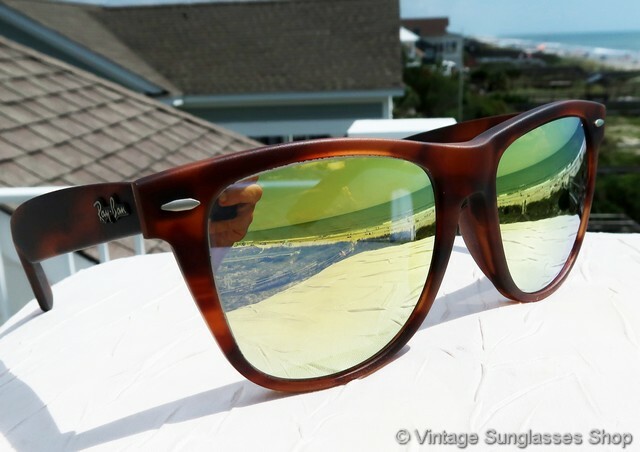 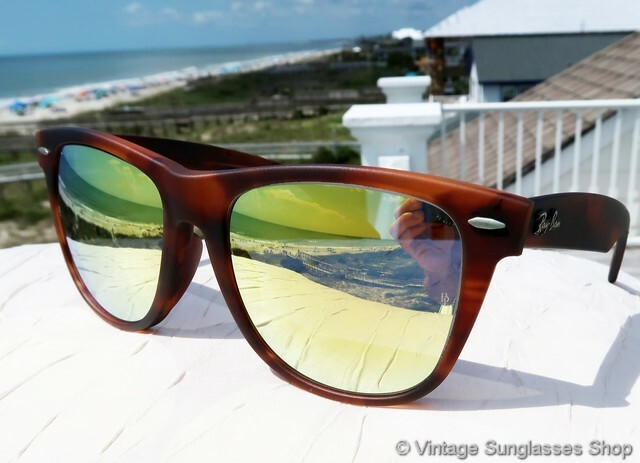 The unisex Ray-Ban Wayfarer II frame measures approximately 5.5" temple to temple, and each B-23 gold mirror lens measures approximately 2.0" x 1.875" at the widest points with both advanced B-23 Driving Series gold mirror lenses laser etched BL near the hinges. 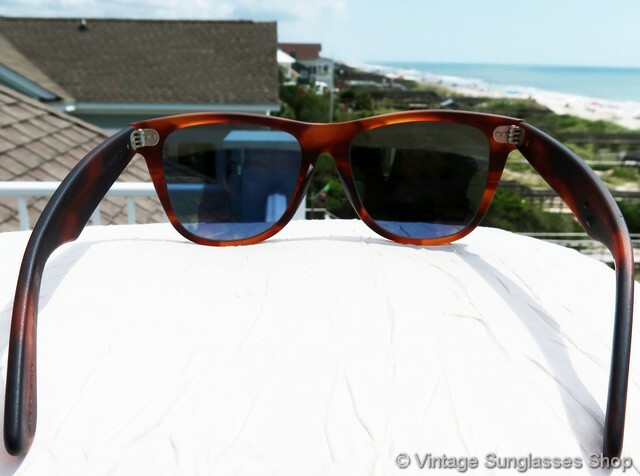 You'll find the Ray-Ban logo in raised metal relief on the exterior of each ear stem, and the inside of one stem is marked B&L Ray-Ban USA while the inside of the other stem is marked Wayfarer II and one ear pad is impressed W1681 WXAO. 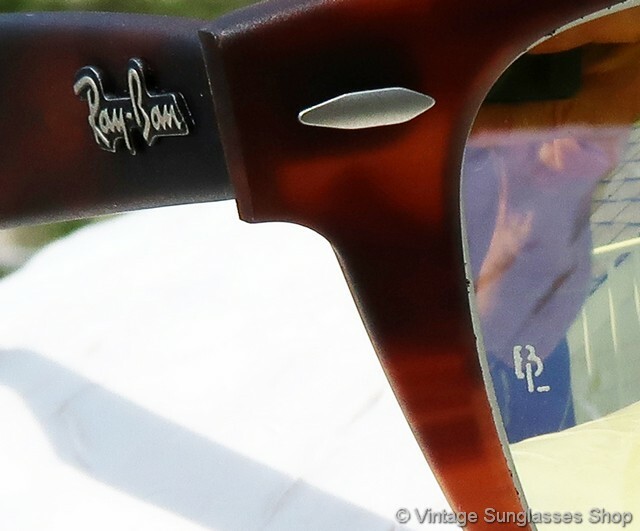 Authentic new old stock Ray-Ban W1681 Wayfarer II gold mirror sunglasses in mint, unworn condition with original case, original box, and in many cases original lens stickers and warranty paperwork.